From an article by IGN, Activision has confirmed the latest news of the release of a map pack for the Black Ops game. 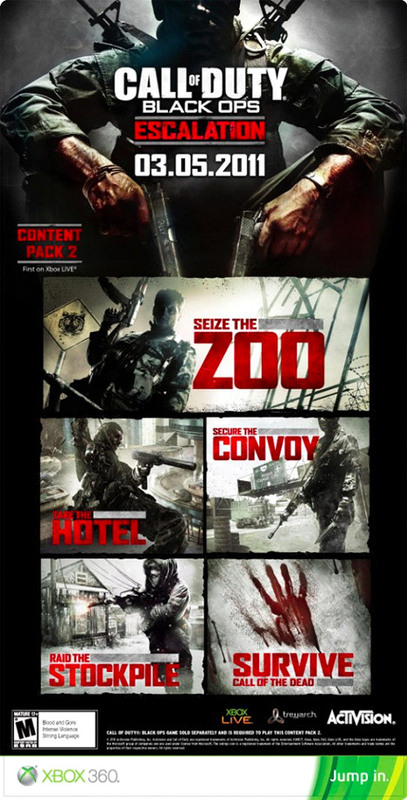 The first map pack, First Strike, broke records on XBOX Live when it surpassed 1.4 million downloads in the inital initial 24 hours of it release. 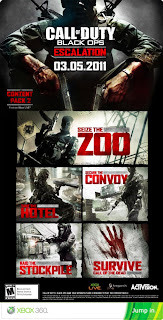 The new multiplayer map apck pack will include maps titled Zoo, Convoy, Hotel, and Stockpile with a new Zombie map called Survive. The new map pack will first available on XBOX Live, followed by PlayStation and PC. Thanks for letting me know. These have been fixed.